The great thing about estimates is…everything! Honestly, we can’t think of one bad thing to say about getting an estimate from a company that you’ll potentially do business with. This certainly includes the team that will be working on your car’s repairs and maintenance. Whether it’s an auto mechanic, a home handyman, or a new hairstylist, you can ask for an estimate! Don’t be shy. A company or individual who won’t talk about pricing upfront doesn’t deserve your business. Every estimate you get may all look a little different. Some are written, while others will be verbal. It might help to make a spreadsheet if you are getting 3 or 4 different estimates so that you can compare them at a glance. You’ll see exactly what’s wrong with your car…and how they plan to fix it. An itemized estimate will show you precisely what repairs will be done and how much they will cost. 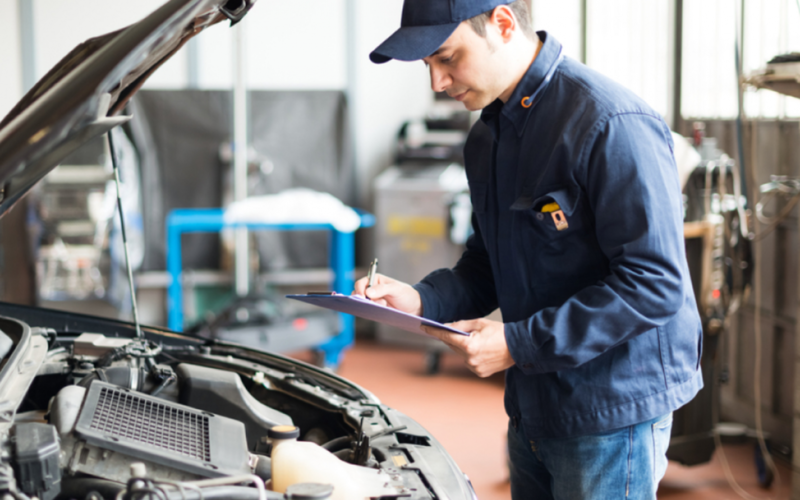 You will see a list of the parts and services you’ll be charged for, so it should be easy to connect the dots about what’s going to happen while your car is in the shop. You can budget for it. If the repairs are major, you may need some time to get your finances in order. You can start saving when you get the estimate or talk with the garage about a payment plan that will benefit both of you. Even if you have the cash on hand for the repair, it’s still nice to know the total before it’s actually due. You can compare several different companies. Written estimates give you a chance to look at a few different garages at once. Make sure that the estimates all cover the same services. Otherwise, it will be like comparing apples and oranges! Your comparison can also include things you judge yourself, like friendliness of the staff and an adequate waiting area. You can double check it online. Look up parts and services online to see how much you should expect to pay, and compare it with what the garage has given you. You’ll quickly see if they are overcharging for anything. You can also suggest a different part if you find a comparable but much more affordable brand. Bonus if it’s free! Many businesses offer free estimates as a sign of good faith to their potential customers. When you get an estimate for free, it means that you will end up getting a little more for your money in the end, and who doesn’t like that? When a company gives you an estimate, they are beginning to build trust with you. Recognize the estimate for what it is: their best guess as to what the final expenses will be. Even the best professionals can’t pinpoint your total cost down to the penny before they begin, so don’t hold them to it if the final total varies a little. Get your free Spokane auto repair estimate today!